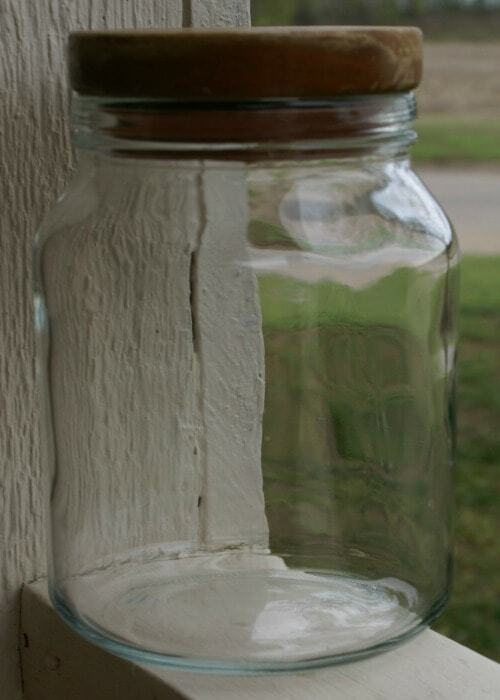 This DIY Jar Project is almost too easy to call a project! 🙂 It may get you thinking about things you have around the house that could be redone with barely any effort at all! I may have mentioned before that I have a “thing” for buttons! My kids call it a weird obsession….but whatever! I decided that I wanted to put some jars of buttons on this long shelf I have in front of a big stained glass window in my front room. 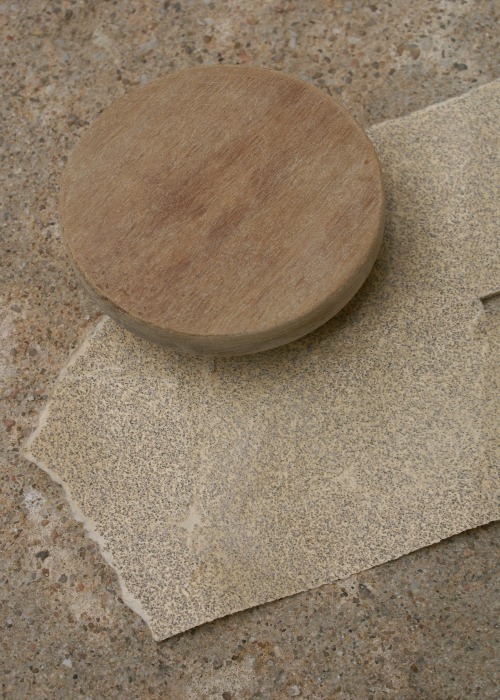 I like the look of the wooden lids that some jars have…but I didn't want the brown wood look…if you know what I mean. I was at a garage sale and saw this jar and thought that with minimal effort on my part I could redo the lid to my liking! This jar was only $1.00 and I thought that was a great price for this big jar! I took the wooden lid off and just grabbed an old piece of sand paper from the garage. I honestly didn't even look at what count the sand paper was…. I just lightly sanded the lid so that the paint would adhere to it better. This took about 2 minutes! 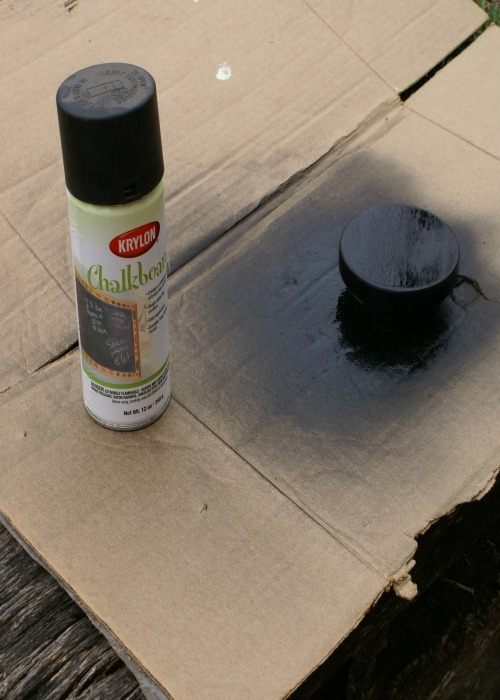 I already had a partial can of black chalkboard spray paint. I wanted to paint the lid black and definitely didn't want a glossy look to it. This chalkboard paint came out perfect! It is a nice flat black color and seems kind of rustic. I took it outside and sprayed each side with one coat. I went back over it and touched up anywhere that needed it after the first coat had dried for about 20 minutes! 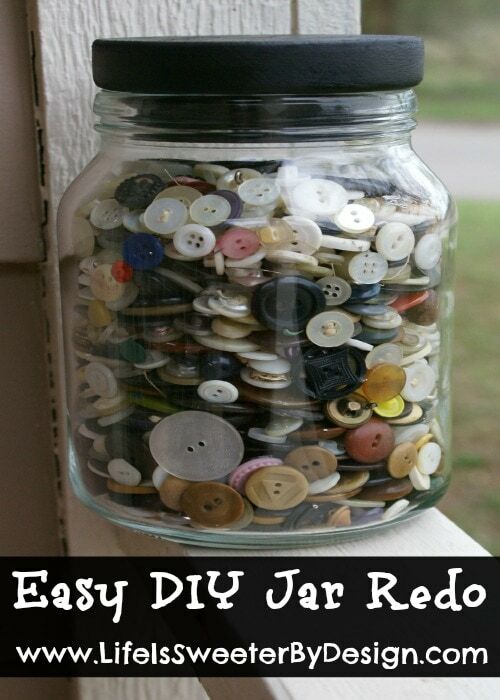 I think that by painting the lid of this jar, it gave the jar a whole new look! I filled it up with buttons and put it on my shelf! I am going to be keeping my eyes open for more jars that are similar, but in different sizes! 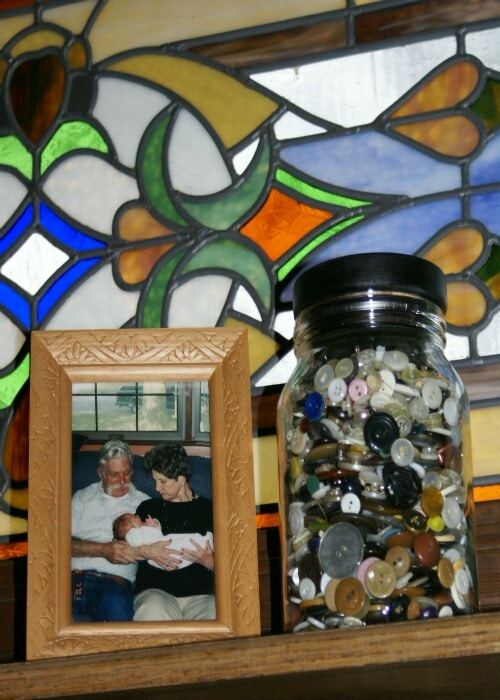 If you have jars you want to redo…..you could fill them with all sorts of things! Spools of thread, coins, old small toys, pieces of ribbon, etc. Do you like jars? If so, what do you fill them with?